Now, Mars in 10th house. House-wise this is strongest position of Mars because here Mars gets the directional strength. Person will have exact idea as to what he wants to do in life. As 10th house is house of fame in society and authority, Mars here will do anything it takes to get that fame and authority. These people will be very much career oriented and want to reach up to the top of hierarchy in their workplace. As it is also a house of Father, it shows that native and father can have some dominating struggles. From 10th house, Mars aspects the 1st house/Ascendant, and makes a person very active. It is hard to make this person sit idle. Mars next aspect goes to 4th house and these people try to dominate the proceedings at home. It can also provide the aggression in home environment and relations with mother. 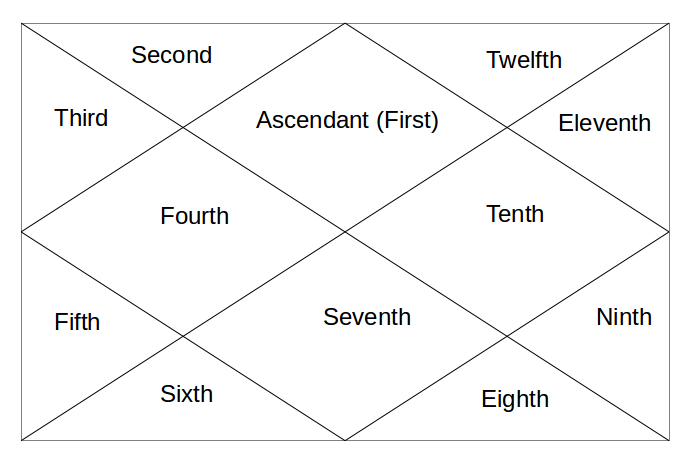 Mars next aspect goes to 5th house and for these people, relation with children, love interests and their own education becomes fluctuating by nature. Next - Mars in 11th house.